There are more ironies. 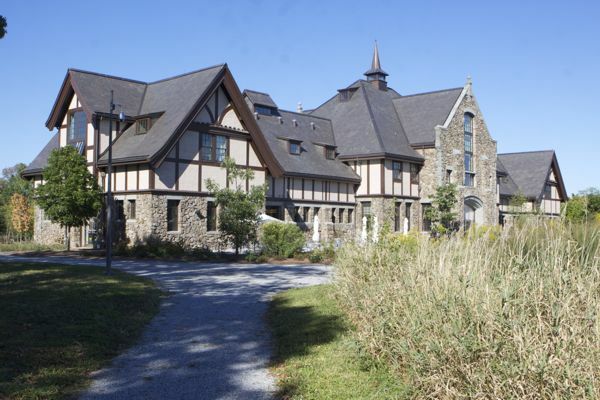 The Duke Foundation got a $58 million low-interest loan from the New Jersey’s Economic Development Authority to repair infrastructure in 2009, but didn’t spend a nickel on the mansion. It also took $2,309,800, from the federal government in 2010 to protect 528 acres along the Raritan River from development, and another such deal is in the works. Curious isn’t it, that tax dollars should go to preserve land already preserved and paid for by the Dukes? Gee, we thought the EDA only took care of Christie’s corporate friends. 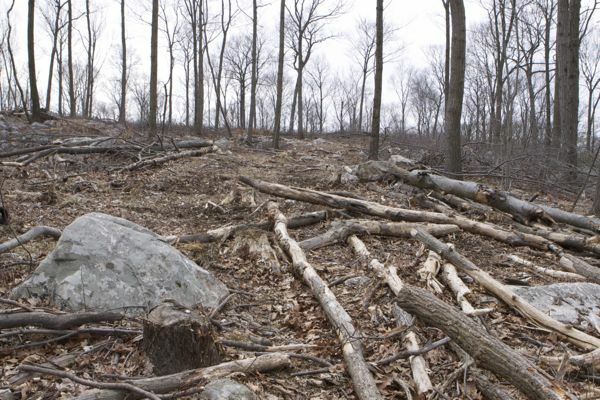 You may have read or heard that NJ Audubon is proposing a controversial logging project in the highly protected forests of the NJ Highlands on lands purchased for preservation by the Green Acres program. But you probably have not been told that the NJ Audubon logging plan, written by a private forestry consultant paid by NJ Audubon and with no public input, was put on the Christie DEP’s letterhead and that NJ Audubon’s logging plan was announced by DEP as a DEP plan. Pretty clever, eh? But it gets much worse. Follow. We’re sure that you are not aware that a billionaire’s private hunting club gave NJ Audubon $140,000 to write that plan. 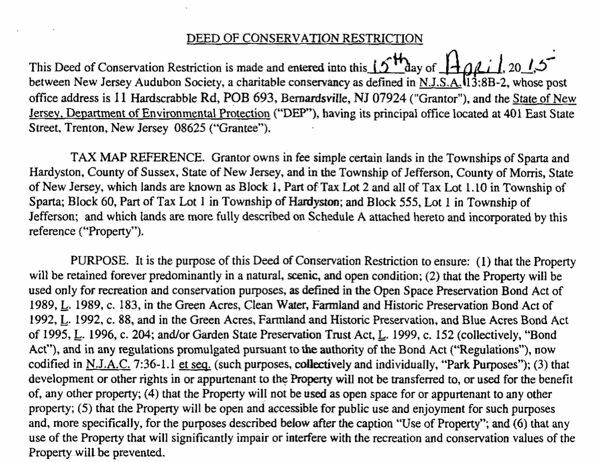 Last April 15, 2015, the DEP quietly paid NJ Audubon $500,000 in Green Acres money for conservation easements on two tiny already preserved parcels of land on Sparta Mountain (about 70 acres, a price of over $7,000 per acre). (if that link does not work I will provide the PDF upon request). Maintaining the land “forever predominantly in natural, scenic, and open conditions” of course does not include logging. And of course, the Christie DEP’s press office, the most prolific ever, was quiet about this “open space” funding – no press release touting the Christie Administration’s commitment to open space preservation – despite the fact that the deal happened in the heat of the highly charged debate about the Open Space ballot question implementation legislation last year, when various folks were outraged by how little funds were available and how the Keep It Green Coalition (led by NJ Audubon) had duped voters about the diversion of existing funds. So, next time your local historic preservation group loses a lovely building for lack of preservation money or the Environmental Commission recommends land acquisition and is told there is No Green Acres money, or your CITY council says there’s no money for urban parks, call DEP’s Boornazaian at DEP – or Eric Stiles at NJ Audubon or Mike Catania at Duke. They may have some spare change you can keep, Harry. Historic Bordentown Home Facing Sheriff’s Sale NJ Audubon Supported Preservation of Highlands Forests, Not Logging – What Explains The U-Turn?